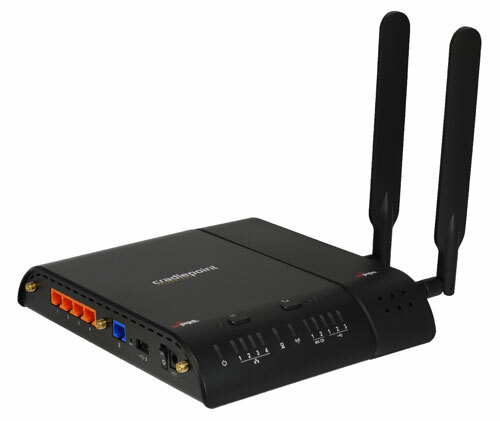 Congrats to Richard T. of Texas City, Texas who just won a $25.00 Restaurant.com gift code for writing a review for Cradlepoint ARC MBR1400 With Embedded AT&T 3G/4G Modem Firmware 4.2.1 at 3Gstore.com! Every week we randomly pick one product review from the previous week and award the writer a $25.00 gift code. We appreciate ALL the reviews our customers write, whether they are positive or negative - honest reviews like Richard T.\'s help other customers decide if the product is right for them. After you purchase a product from 3Gstore.com, we encourage you to log in and 3Gstore.com and leave a review letting people know how the product worked for you - you'll be helping others, and you'll automatically be entered to win a restaurant.com gift code!. My T-1 line in my Beaumont, Texas office was shut off and there was no other way to get internet service at our location. We had to have the service back on Monday. AT&T 4G LTE was the only option we had for a quick replacement. It was a Friday afternoon and I needed the Cradlepoint ARC MBR1400 Router and a Modem for my office on Monday, therefore I needed it to be delivered on Saturday. I looked online and was unable to find an AT&T unit in stock anywhere. I finally ran across the 3GSTORE and went online to check, and their website said that they had these units in stock. I had a brief chat with Matt Bauman and he told me that they had the units in stock and that he could ship it for a Saturday delivery. I ordered the unit Friday afternoon not believing that I would have it by Saturday. Within one hour the 3GSTORE sent me an email with a FedX Tracking Number. Saturday morning at about 11:00AM there was a knock on my door and sure enough it was FedX with the package from 3 GSTORE. The service was the best and the delivery was super fast. Wonderful experiance. I picked up a 4G card at the AT&T Store Saturday activated it and had our office back online Monday morning as planned. Thanks Matt for all the help processing this order and thanks 3GSTORE!! !